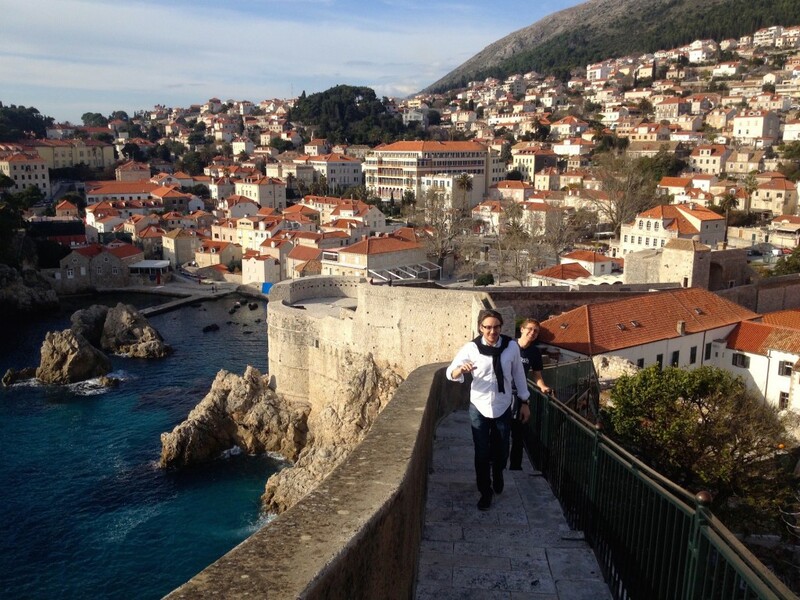 If there is one place in all of Croatia that you absolutely must visit, it’s Dubrovnik. 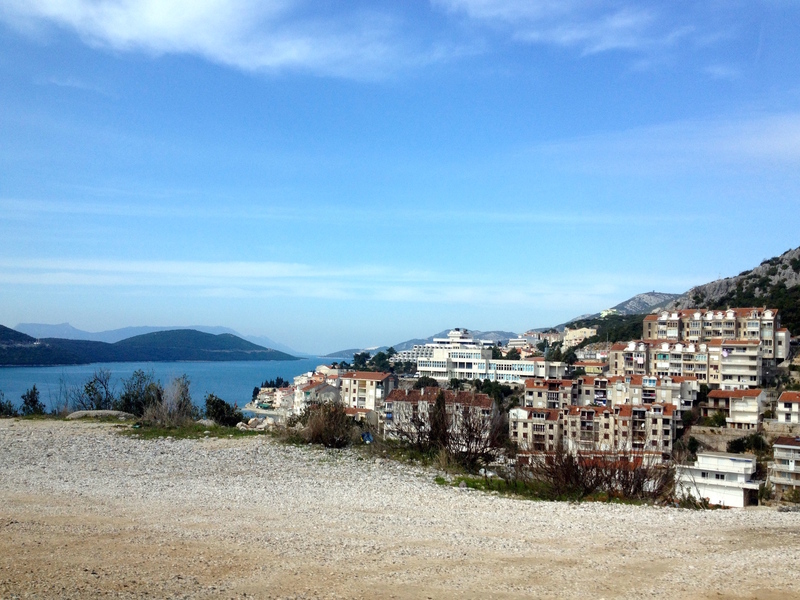 Hailed as the “Pearl of the Adriatic Sea”, it lives up to that nickname and more. The old city is so cute that it’ll make your chest ache. 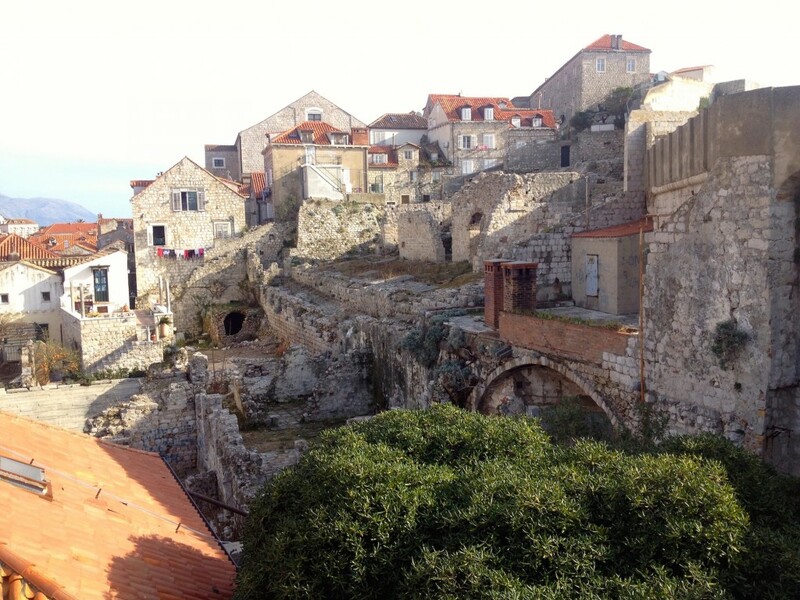 It has everything you could ask for in an adorable European town: a wonderfully intact medieval wall surrounding the old city, beautiful sea views of water that’s bluer than you could ever imagine, and a hilltop viewpoint perfect for taking in a sunset over the Croatian islands. Dubrovnik also has an unforgettable backstory – this beautiful city was shelled relentlessly for a time during the war of the 1990s. Our quick day trip to Dubrovnik will undoubtedly be one of the highlights of our month in Croatia, so we put together a Guide to Dubrovnik to help others enjoy the city as much as we did! Dubrovnik is a city full of total badasses. Reading about its history made me realize that these scrappy people have grit, soul, and a deep desire to protect their wonderful town. 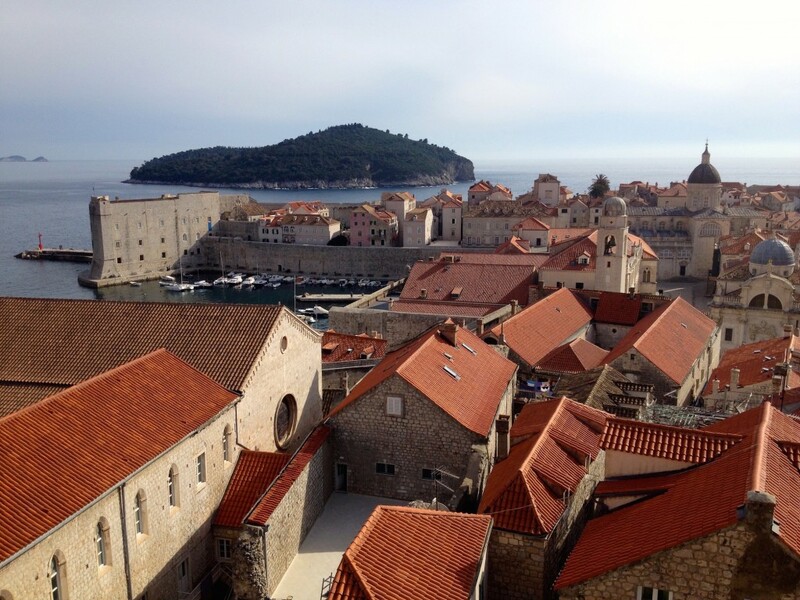 As a major sea-port, Dubrovnik was a very wealthy city, but the city’s most valued commodity throughout its history has always been “Libertas”. During the Middle Ages, they worked hard to maintain their independence, paying off whatever empire was most powerful at any given time. The shrewd folks running the city even went so far as to avoid ostentatious architecture and decoration in an attempt to downplay the city’s wealth. If they had adopted a more ornate style of the city, it likely would’ve cost them a lot more in bribes to the Ottoman empire. The ruined buildings in these photos were destroyed in the 1667 Earthquake and just never repaired. Crazy. The second devastating event in Dubrovnik was the fighting that followed Croatia’s declaration of Independence from Yugoslavia in 1991. 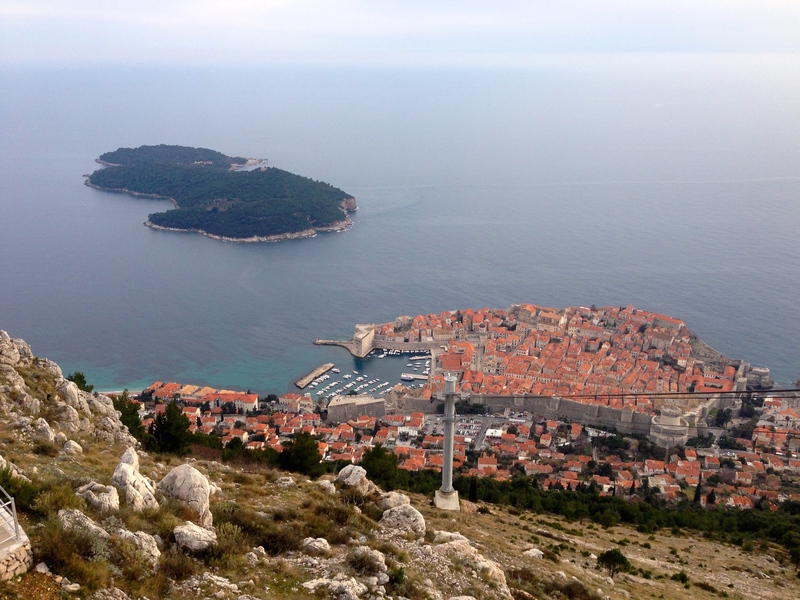 Many Croatians fled to Dubrovnik, thinking it was safe because it’s located so far South on the Adriatic coast. However, Yugoslav Forces began attacking the city in October, 1991. At first, only military outposts and communications infrastructure were targeted. Soon, however, the Yugoslav troops started bombing residential areas and even the historic old city. City residents hid wherever they could, hoping their cellars would be enough to protect them from the shelling. 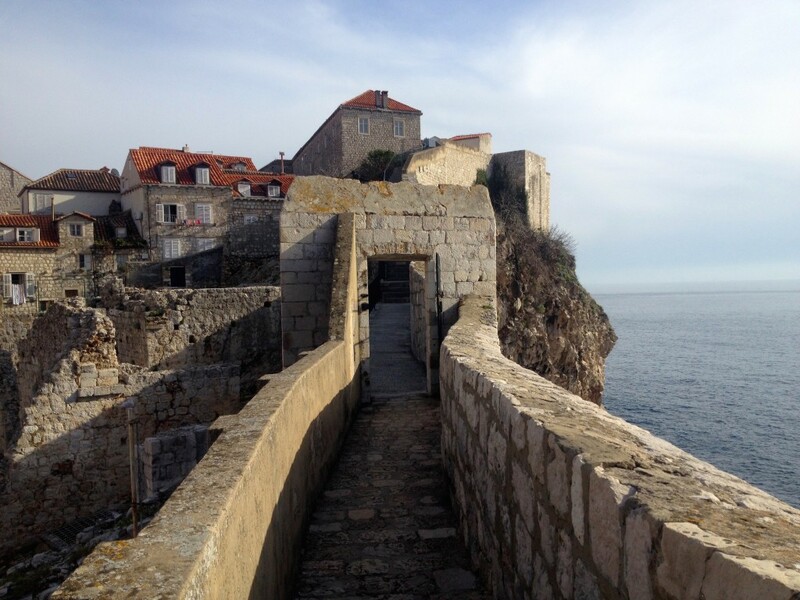 Some even hid in the medieval wall’s forts and bunkers – this was the only time in all of Dubrovnik’s history when the walls were actually used as defense against military attack! The most amazing thing to me, though, is that the city did not fall. A scrappy Croatian army sprung up to defend their beloved town. Fathers, brothers, and husbands who weren’t trained for war dusted off their hunting rifles to protect their loved ones. 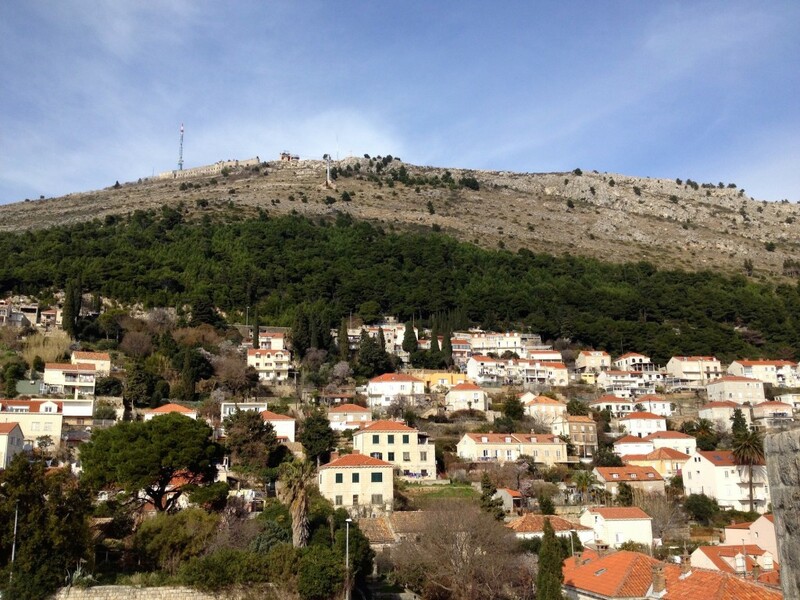 The townspeople were able to keep control of a fortress high on the hill overlooking the city, surprising the Yugoslav army with their determination and strength. 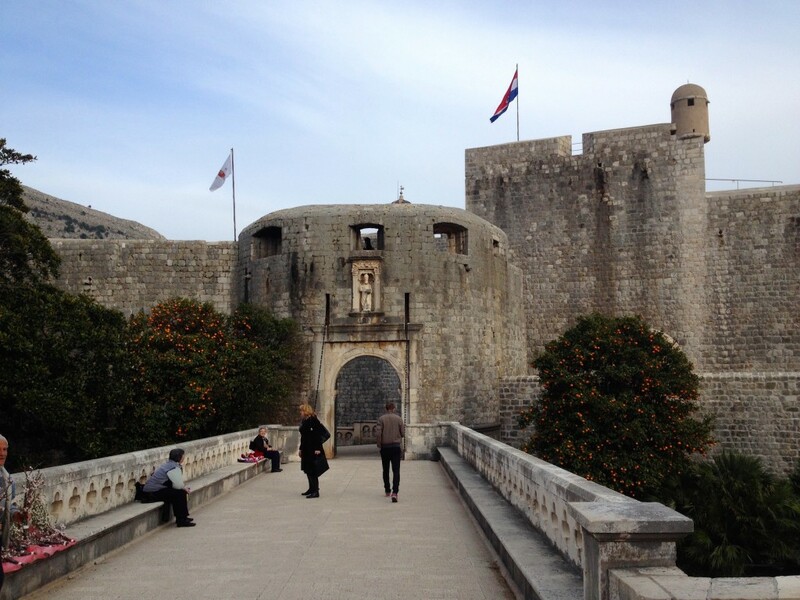 A group of only 25-30 newly-minted Croatian soldiers were able to “hold down the fort”, so to speak, keeping Dubrovnik from falling under the control of the Yugoslav forces. Finally, eight months after the siege on Dubrovnik started, the Croatian army liberated Dubrovnik by driving down from the North, pushing back Yugoslav forces once and for all. 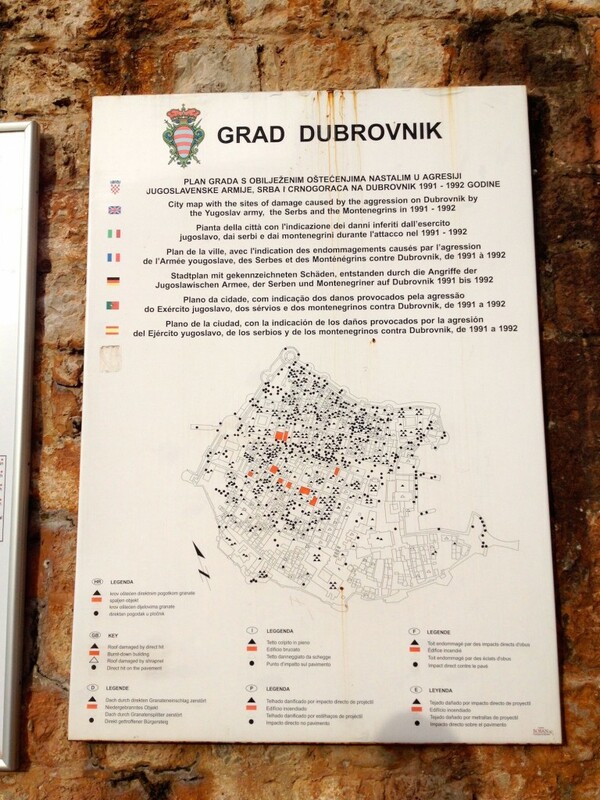 A map of Old Town Dubrovnik, showing damage from the 1991-1992 Siege. Orange marks buildings that burned down completely. Black triangles are direct hits on buildings, while black circles show direct hits on the pavement. Empty triangles and circles show shrapnel damage on buildings and pavement, respectively. In the eight months Dubrovnik was under siege, 100 civilians lost their lives, along with more than 420 Dubrovnik citizens who were actively fighting against the Yugoslav military. 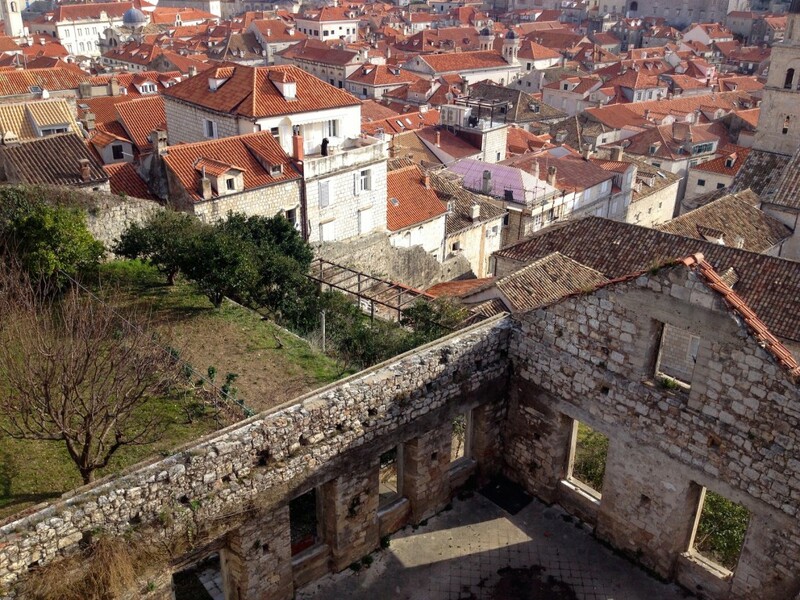 More than two-thirds of the buildings in Dubrovnik were damaged in the war, and over 30,000 people were forced to flee their homes during the fighting. 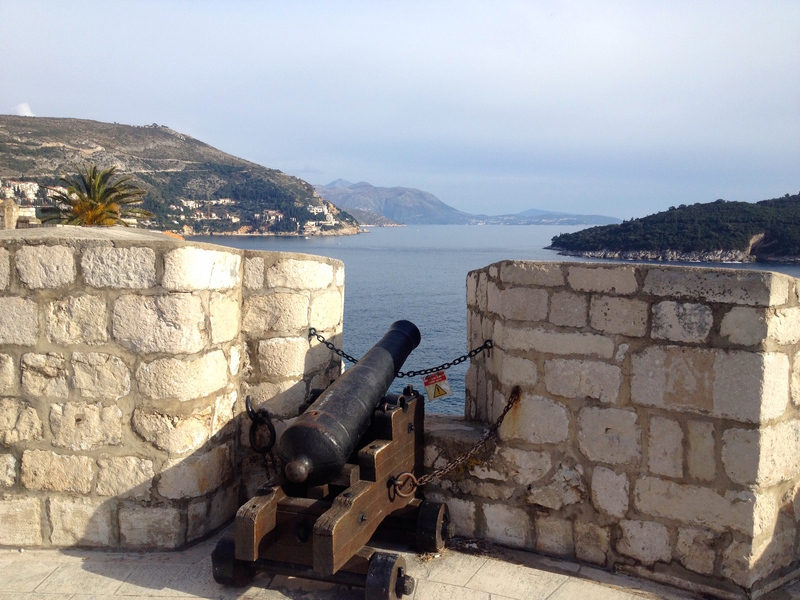 Ironically, the siege on Dubrovnik is said to be what turned the public opinion against Yugoslavia. Locals say that “When Yugoslavia attacked Dubrovnik, they lost the war” because the world hated to see such a beautiful and historic city being destroyed. 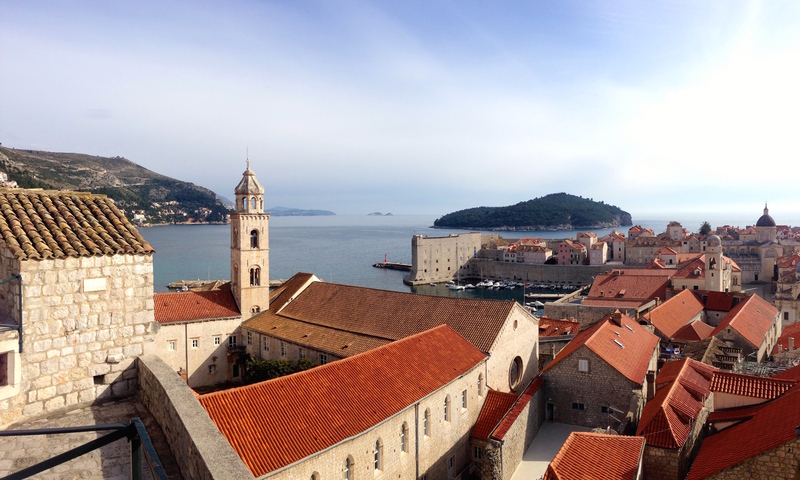 Dubrovnik has really bounced back since the was in the 90s. The only real marks you can see leftover from the war are the new, bright orange tiles on the roofs of so many buildings. In the photos of Dubrovnik that follow, it’s easy to see which tiles are old and which are new in the sea of orange roofs. 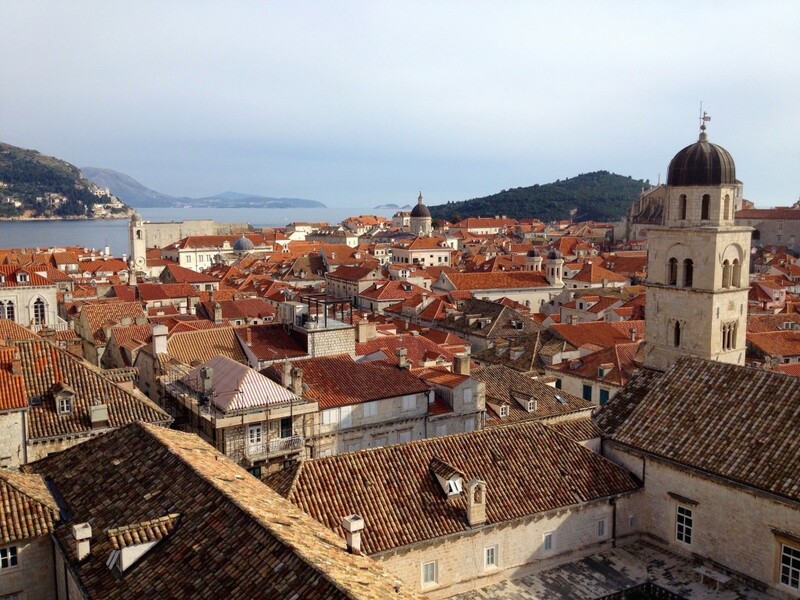 There’s a reason this city was chosen as the set for King’s Landing in HBO’s Game of Thrones Series. It’s such a charming town with winding streets and tons of character. But with that charm and character also comes mobs of tourists. We visited in February and really lucked out with the weather. I’ve read that in the peak tourist season in July and August, Dubrovnik is practically unbearable because it gets mobbed by hordes of people visiting on passing Cruise Ships. 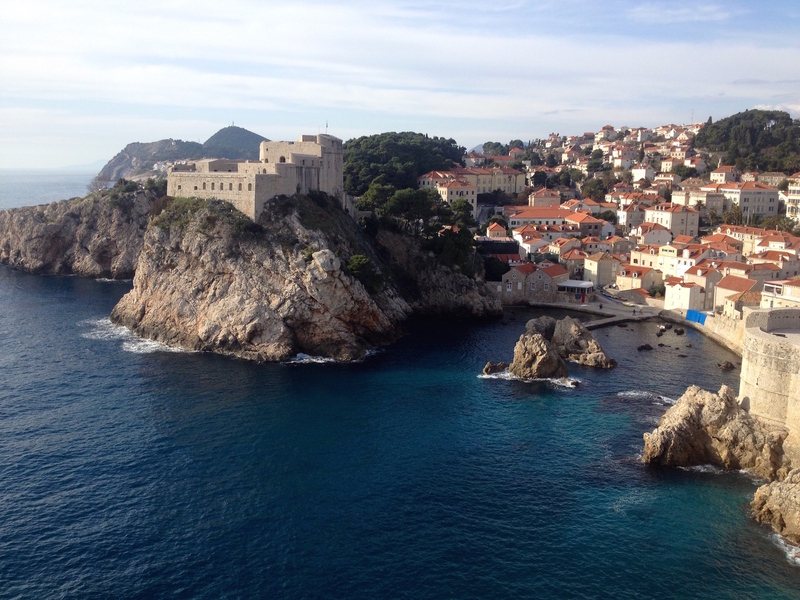 For that reason, we highly recommend avoiding Dubrovnik in July and August. If you must come during high season, stay the night so you can enjoy the city early in the morning and late in the day without being constantly poked in the face by selfie sticks and umbrellas. If you’re in Croatia off-season and are based in Split, it’s a long but worthwhile day trip if you have a rental car. The long, twisting drive down the coast can take up to 3.5 hours, but you’re rewarded with awesome views! You’ll even pass through a tiny strip of Bosnia & Herzegovina on the way. 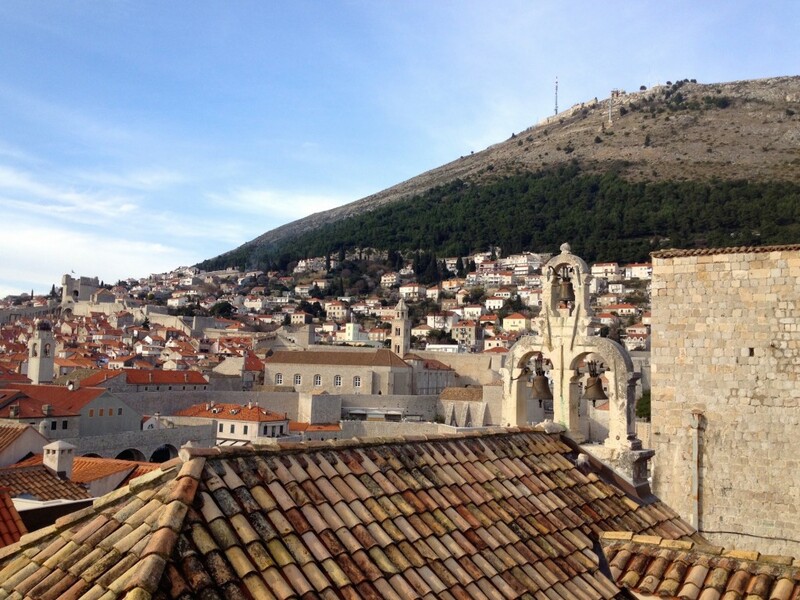 If you have the time, we recommend spending a night in Dubrovnik, then doing a day trip to Mostar in Bosnia-Herzegovina the next day before driving back up to Split for the night. Some of the awesome views on the drive down to Dubrovnik. 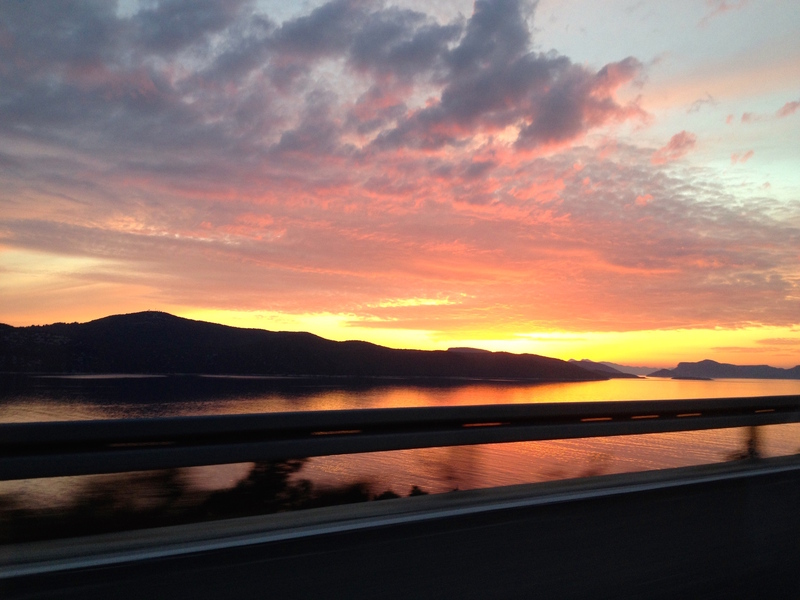 We were also treated to this sunset view on our drive home. There are no words. And yet, here I am, describing it. With my words. If you don’t have a car, there are several busses per day to Dubrovnik from Split. However, the trip take up to 6 hours and I wouldn’t make this drive on a bus without stocking up first on Dramamine. 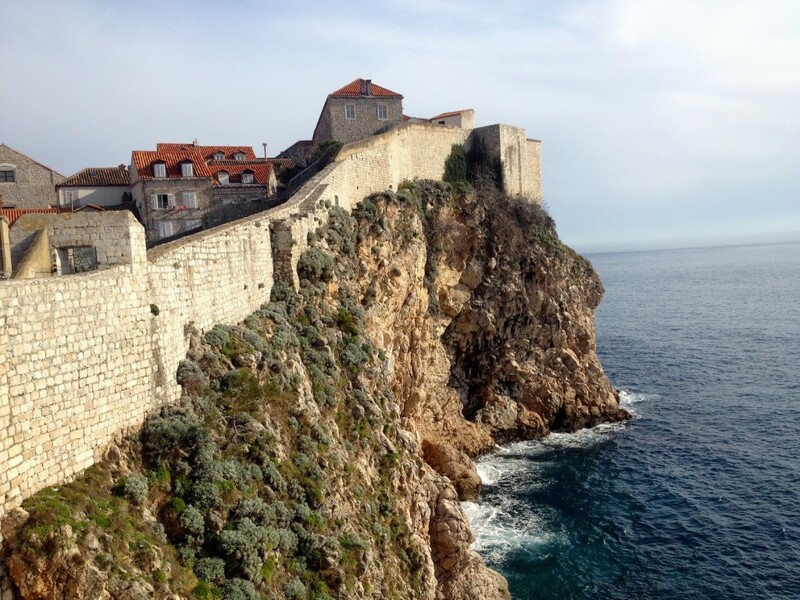 Dubrovnik’s Best Sight: The Medieval Wall! 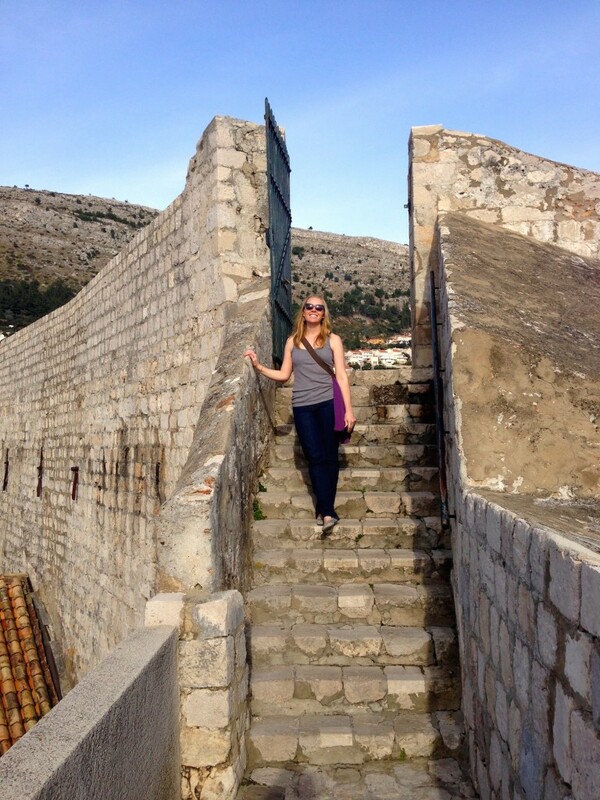 Easily the most awesome sight in Dubrovnik is its city walls surrounding the old city! It costs a hefty 100 Kuna (about $14) to go up, but the views you get during the fun 1.25-mile walk are worth every penny. Since we were in Dubrovnik in the low season, we shared the walls with less than a dozen other tourists. It was glorious! If you’re there during the Summer, it’s reportedly less busy in the heat of the afternoon – just bring lots of water, sunscreen, and a hat. I was toasty even though it was only in the upper 50s! Walking around the walls, you get views of the cute city. Peek down into people’s yards and see what laundry they have hanging outside today. Chuckle at the kids playing basketball or soccer on the rooftop courts. Climb up to the top of the towers and pretend you’re manning a cannon. But most importantly, just soak in the beautiful scenery! The photos below really don’t do the city justice – you’ll just have to visit to see everything for yourself. 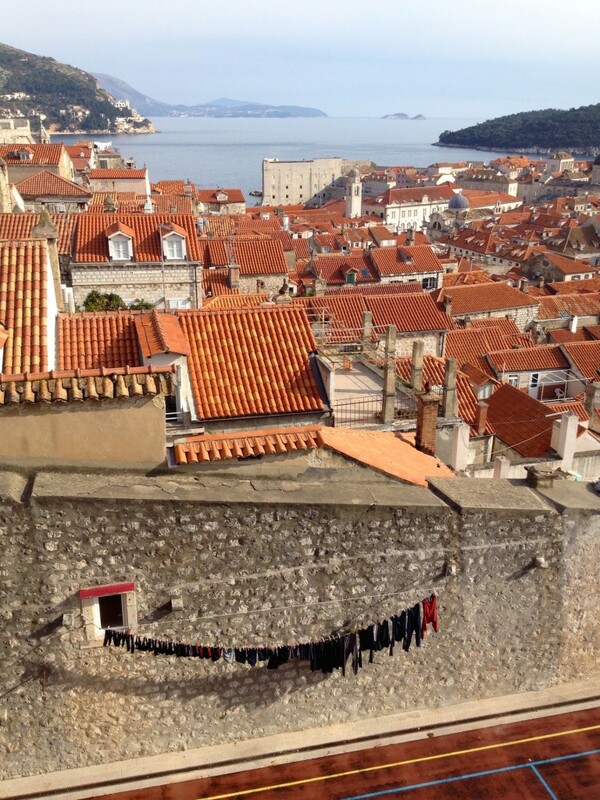 Amazing views from Dubrovnik’s Wall. 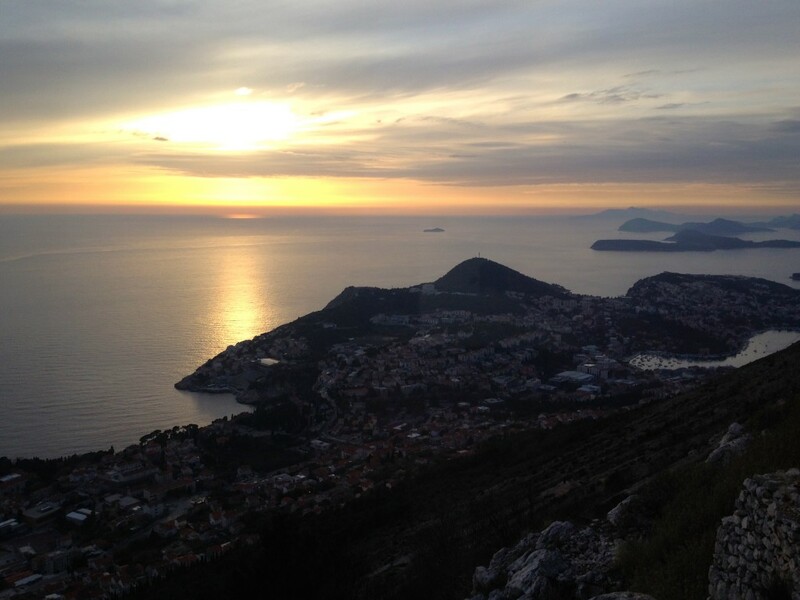 The Adriatic Sea behind Dubrovnik. 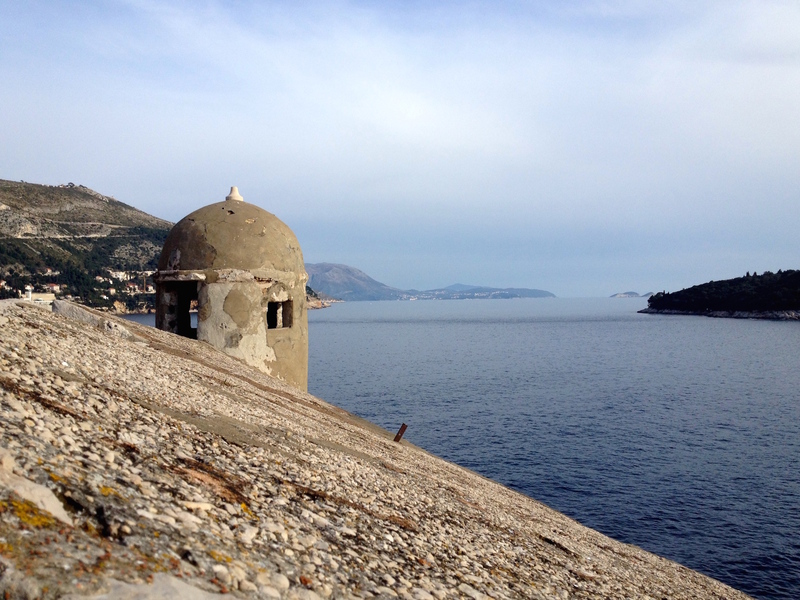 St. Lawrence Fortress, next to Dubrovnik. 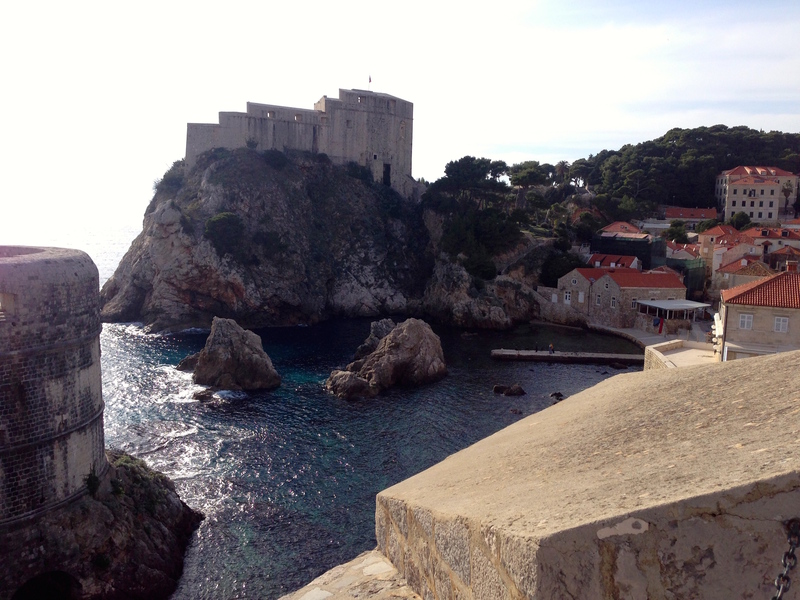 Lots of scenes from Game of Thrones were filmed on the thin walkway jutting out into the water below the fortress! 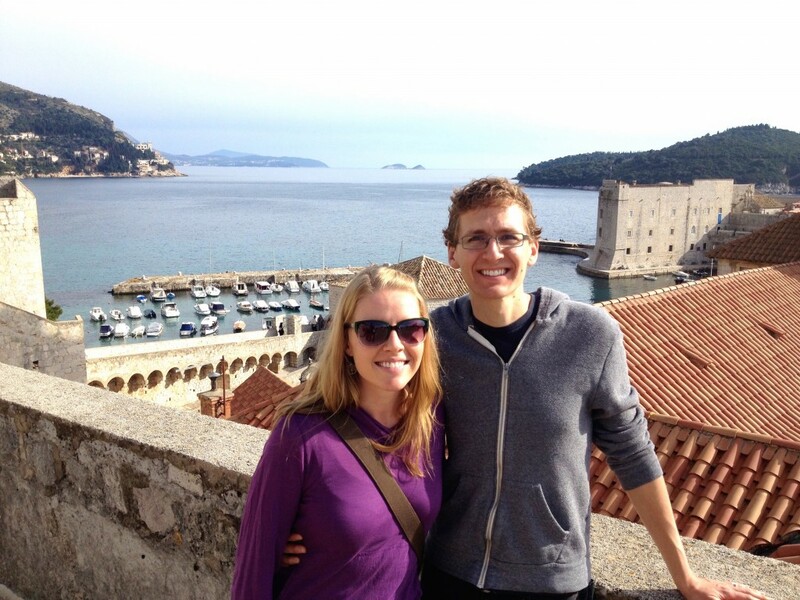 Enjoying the warm February weather in Dubrovnik! Pretending I’m a Soldier, watching over the city from the wall. 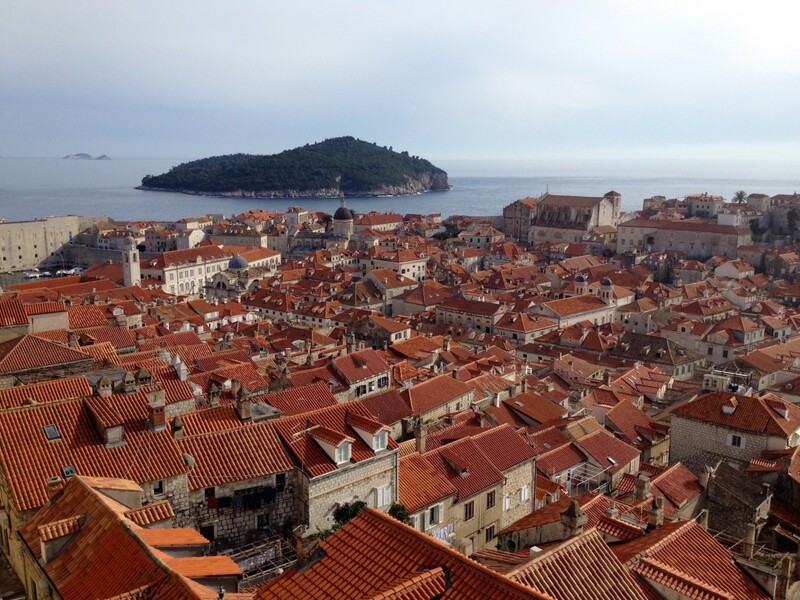 Dubrovnik is a sea of orange rooftops. 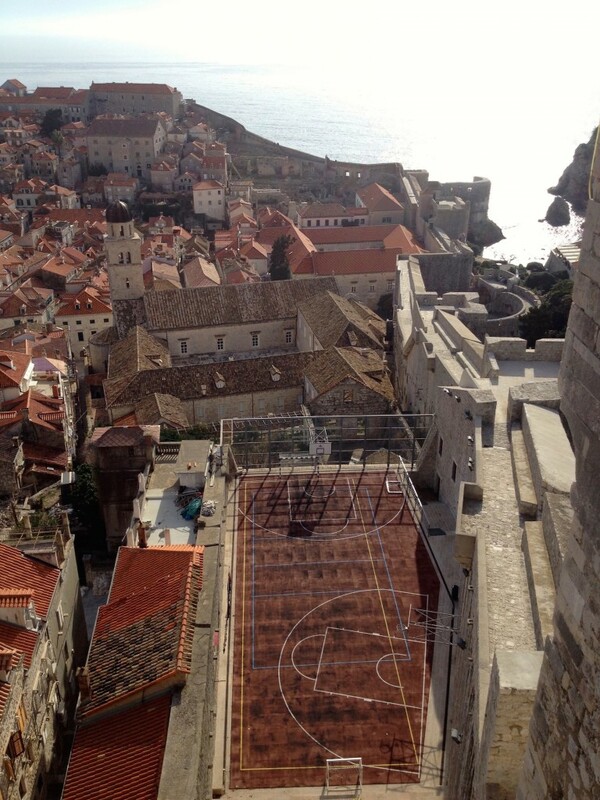 A rooftop basketball court in Dubrovnik’s Old City! This pretty much sums up our feelings about Croatia. Yaaaay Croatia! Can you believe a place like this exists? I don’t want to think about how long it took them to hang up every single sock like this. Three cheers for American laundry Dryers. See all the chairs down there? It’s a BAR on the side of the wall!! I would LOVE to have this spot for a garden. One of the newer parts of the wall, and Mount Srd in the background. Dubrovnik has no shortage of church towers. 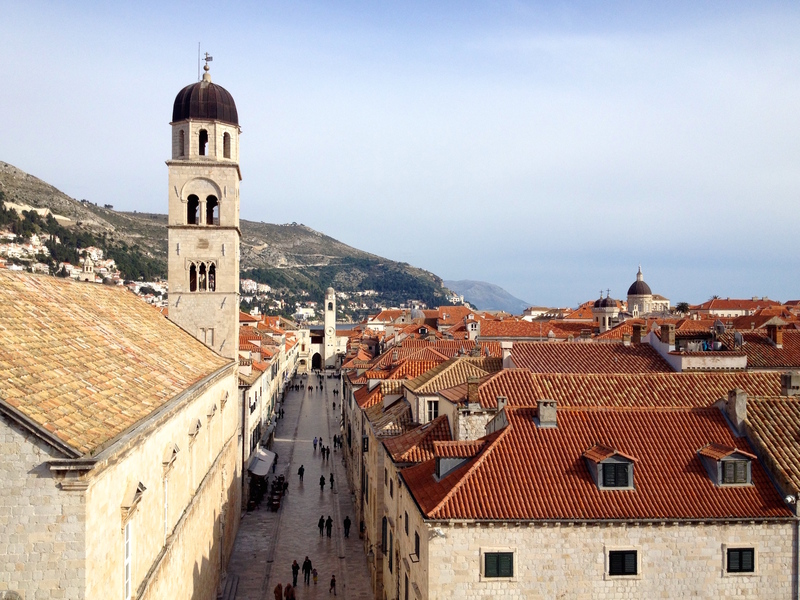 This is the Stradun, the main pedestrian drag down the center of Dubrovnik. The oldest, hilliest part of the wall. My favorite part of the wall. Yay for low season – can you imagine this part packed with tourists? Kevin’s boss Greg was visiting us after a business trip in London. Wave, guys! LOOK at that water around St. Lawrence Fortress! So blue, so beautiful. Oh you know, just a cannon hanging out on top of the wall. 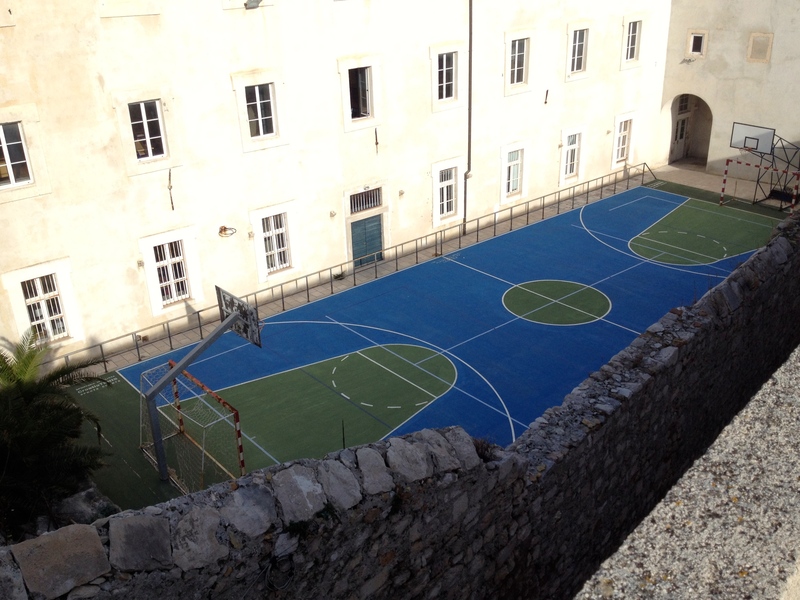 A rooftop soccer field / basketball court in the Old City. 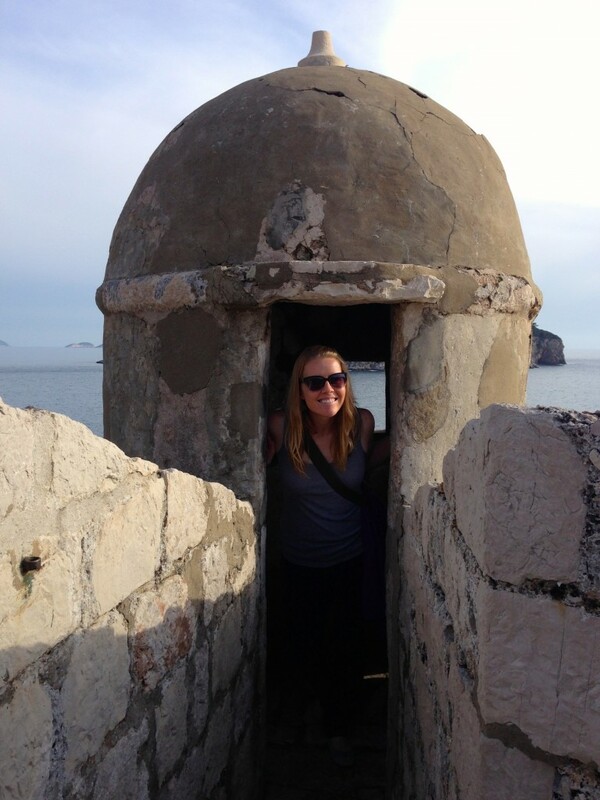 A gun turret in front of the beautiful Adriatic Sea. TOURIST TIP: The wall closes waaaaaaay before sunset, earlier than you’d ever guess, which really surprised us. We barely had enough time on the wall and felt a little rushed. Be sure you visit with plenty of time to explore. This website usually keeps up to date opening and closing times. 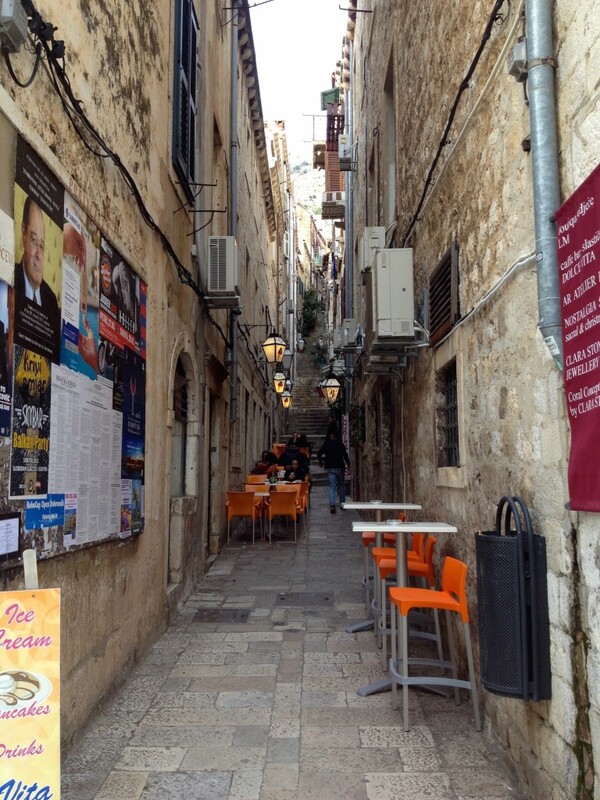 It’s fun to just get lost in the old city. With so many tiny lanes packed with cute shops and restaurants, I could wander around here for hours. It’s the perfect city to have an ice cream, sit and enjoy a slow coffee, and do a little people watching. 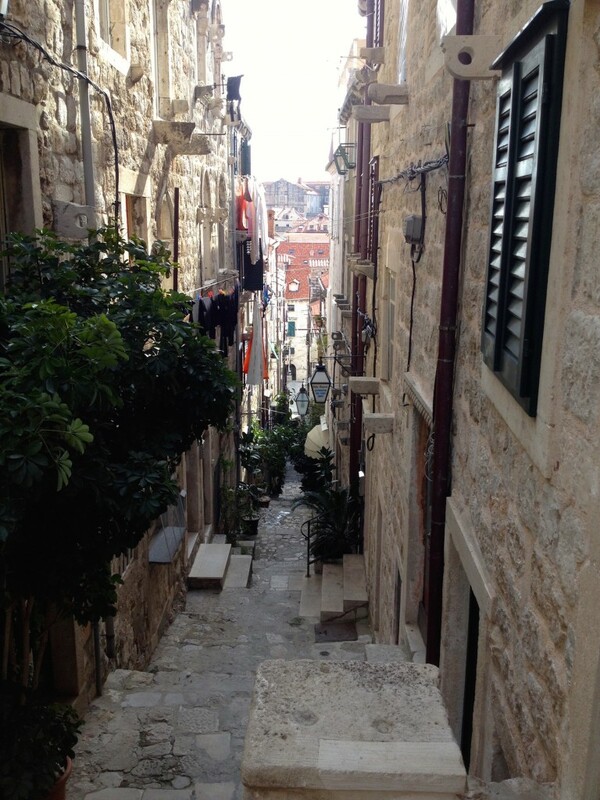 One of Dubrovnik’s small little streets in the Old City. Walk through the city’s Pile Gate, its main entrance which used to have a moat underneath it. Dubrovnik’s Pile Gate. The moat underneath is now a kids playground. 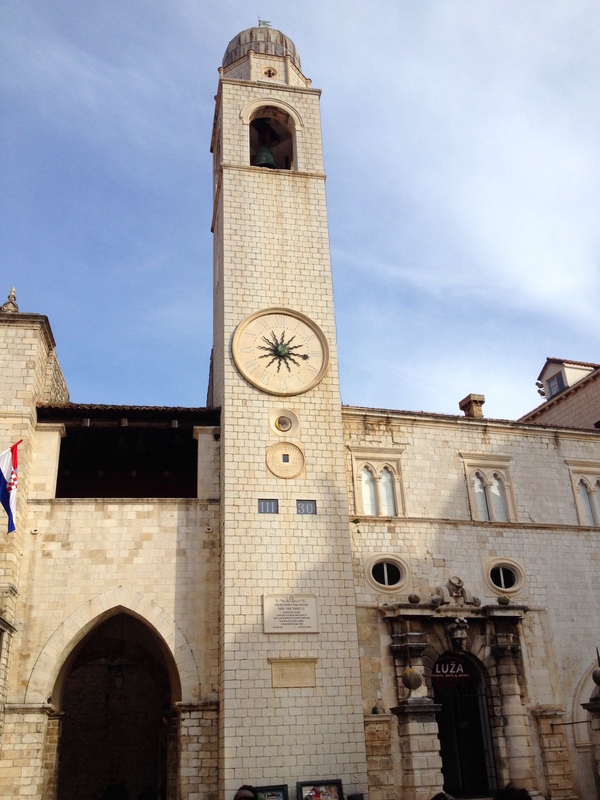 Be sure to stop and look at Dubrovnik’s clock tower, which has one of the most interesting war stories we read. Dubrovnik’s Clock Tower. The golden circle below the main clock face shows the current phase of the moon. There’s also a digital readout lower, showing the time, 3:30pm. First it has “III”, roman numerals for 3, then 30 for the minutes. To this day, the clock has to be wound every two days to keep ticking. For hundreds of years (1877-2005), the people responsible for winding the clock was the Krasovac family. Their house sustained a direct hit and was completely destroyed in the Siege on Dubrovnik in the 1990s, and everyone feared the keys (which were inside at the time) were lost forever. For days the clock went without winding and the bell didn’t chime. Then by some miracle, the keys were found in the street! People from all over Dubrovnik gathered around the clock tower and cheered while the clock was wound and the bell started ringing! 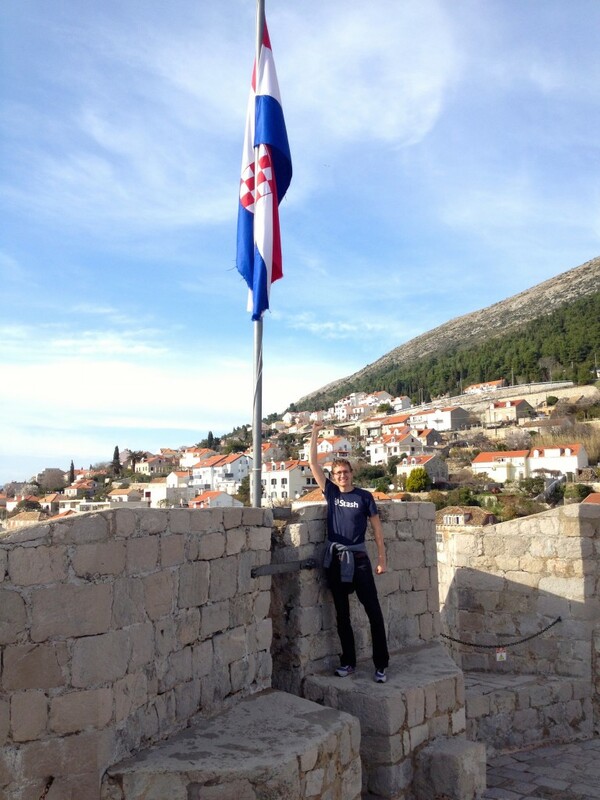 It was a symbolic gesture, showing the Yugoslav forces all around the city that Dubrovnik would not fall. Can you imagine being one of the 25 or 30 soldiers defending Dubrovnik from the fortress on the hilltop, hearing the clock tower ring again after being silent for several days? 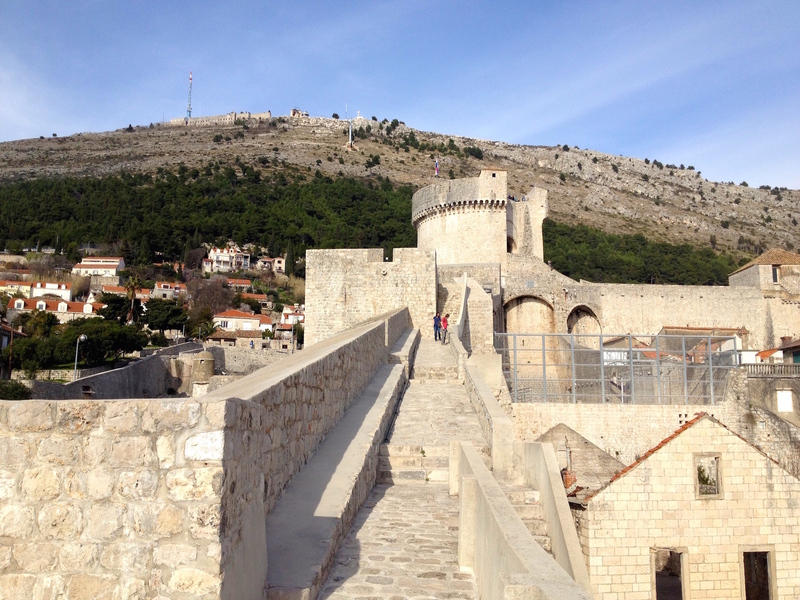 The view up towards Mount Srd, as seen from the Old City Wall. Views from the top of Mount Srd. 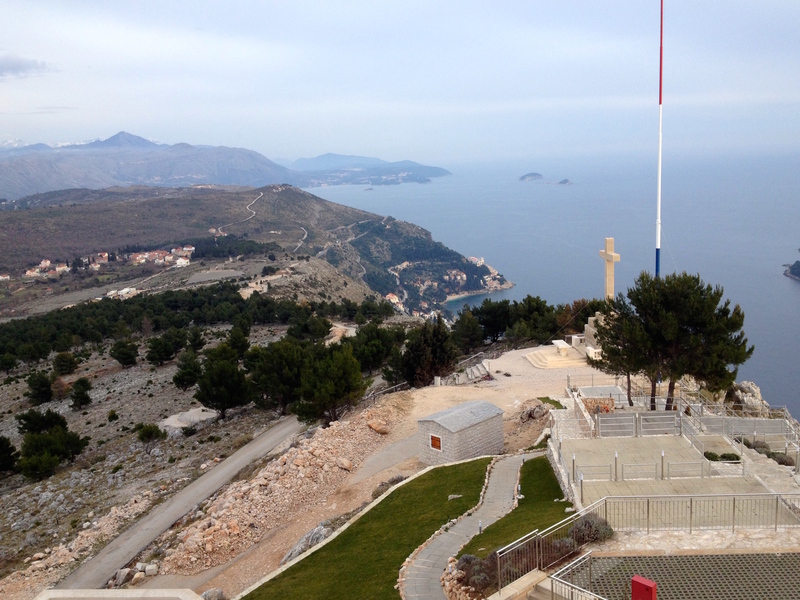 This cross replaced the one that was destroyed in the Siege on Dubrovnik in the 90s. 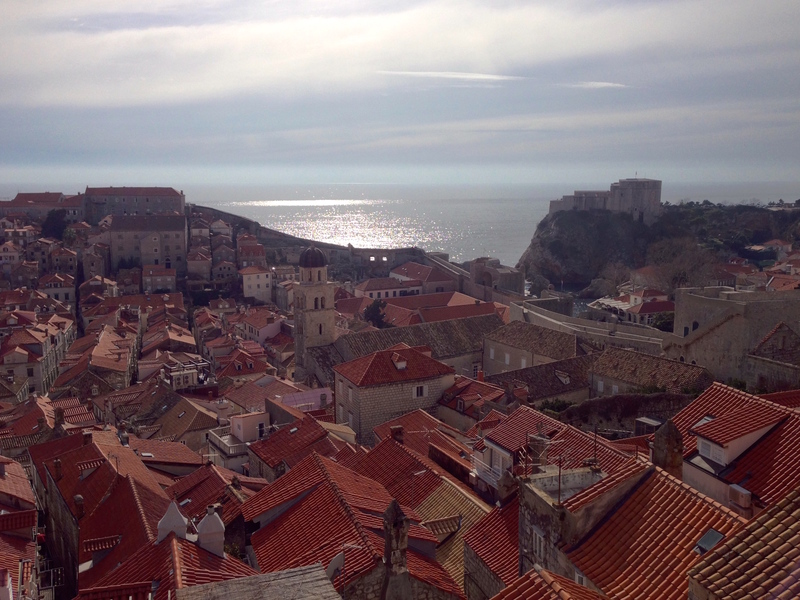 The view of Dubrovnik’s walled Old City from Mount Srd. 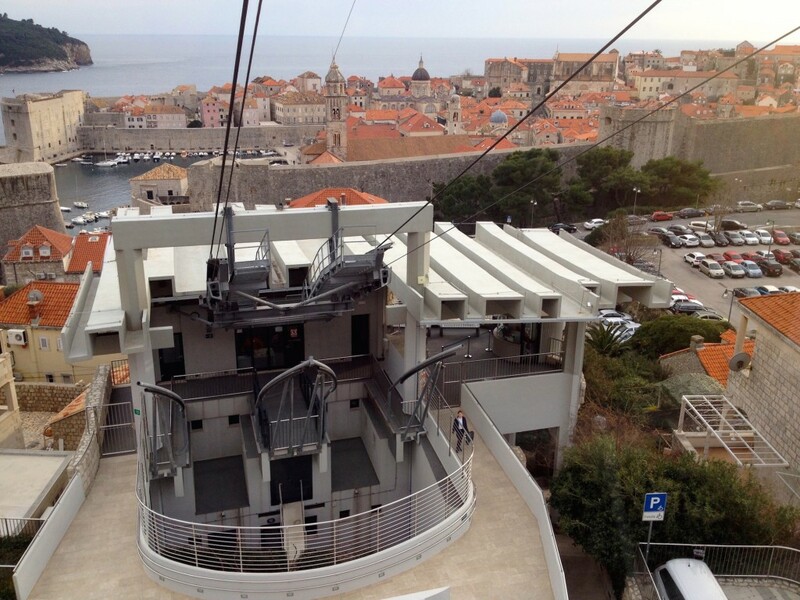 It costs 100 Kuna (about $14) for a round-trip ticket on the cable car. It’s a nice ride if you don’t mind being stuck on a fixed schedule, crammed into a car with dozens of other tourists, and hanging from a surprisingly thin cable (crossing your fingers that they did their math correctly!). We think the best way to go up is to drive – there’s parking at the top and it takes 20 minutes to drive. Plus if you drive up, you can stay until sunset! The last cable car ride departs from the top JUST as sunset is at its best, which is a total bummer. The cable car station. Here’s hoping these cables hold! Sunset views from the top of Mount Srd. However you decide to get up there, be sure you go. The views are amazing. 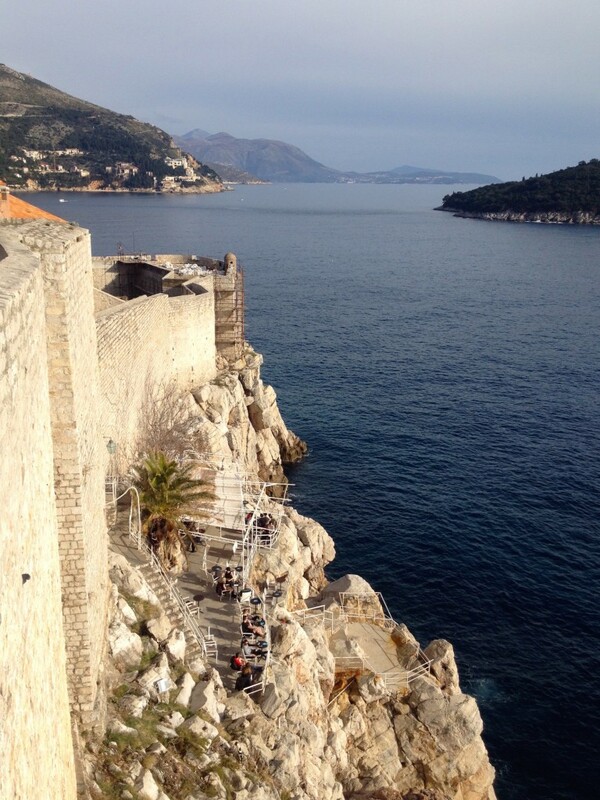 Have you visited Dubrovnik? When did you go? Did you enjoy it as much as we did? !